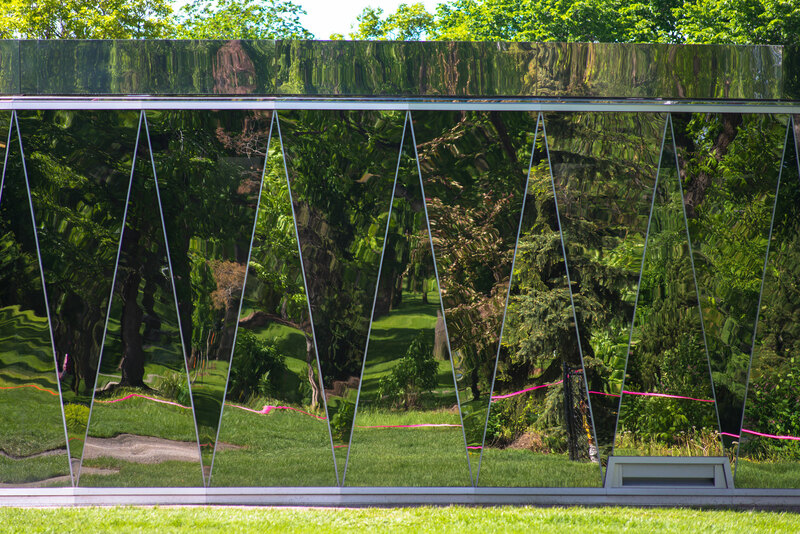 The building attempts to recall the history of Borden Park through the reintroduction of the playful qualities of its status as an amusement park in the early 20th century. The pavilion’s form and expressive timber truss structure evoke the playful qualities of children’s toy drums and the merry-go-round that once occupied the park. Material simplicity and structural uniqueness results in a pavilion of studied minimalism. 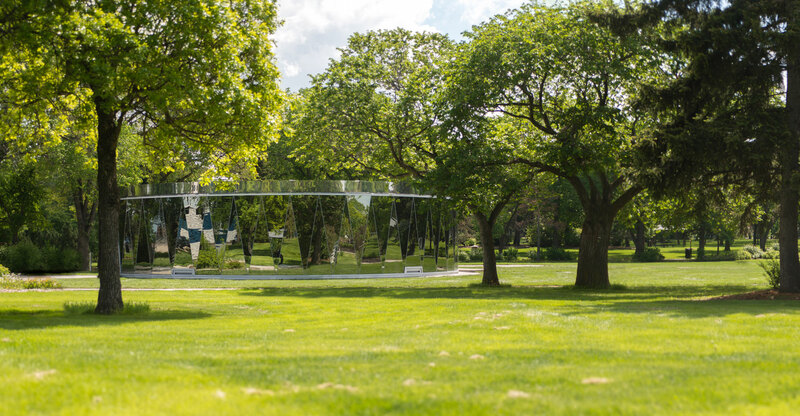 Triangulated floor-to-ceiling glazing provides captivating panoramic views out from the pavilion while blurring the boundary between interior and exterior space, intensifying the sense of connection to seasonal dynamics and to the park itself. 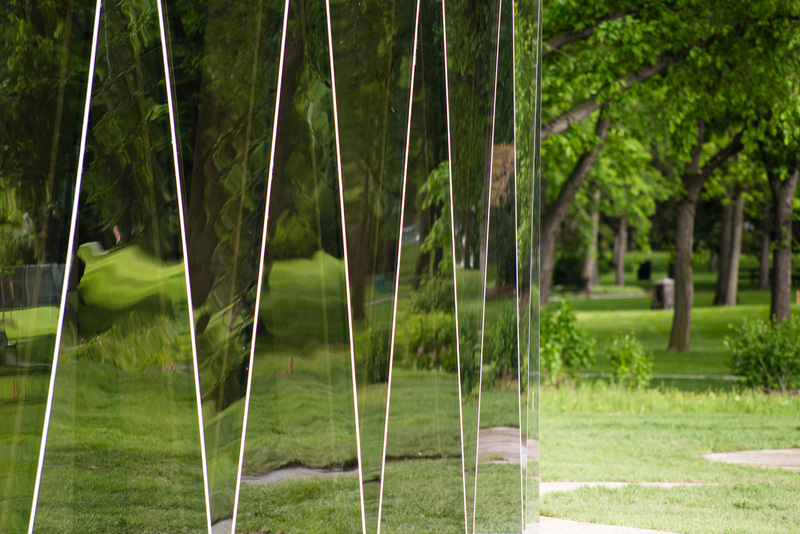 "The pavilion gifts its community with a simple and joyous reductive architectural form. The integration of mullions and support framework, the triangular glazing units, and the circle-within-a-circle plan work together to generate a singularly powerful presence within a city park. It is the abstraction that would one would see at the level of art, but with which people can actually engage and play. Its character shifts diurnally, becoming nearly invisible at times as its mirrored facades reflect the surrounding trees, and then transforming into a lantern at sundown. It is a refreshingly well-considered and carefully designed object of fascination within what is the usually neglected programme of park infrastructure."